With every Spring, there is a freshness in the air, and a hint of things to come. Now, it has come to signal an altogether fixture in the music industry, the return of the Country 2 Country festival. As Europe’s biggest country music festival, Country 2 Country was created by AEG Europe and SJM Concerts in association with the Country Music Association. The festival has responded to the growing passion and desire for live country music outside the US. The festival takes place in March in London, Glasgow and Dublin and is across three days. It includes the best in country music and programming. Therefore, it welcomes artists from Nashville, the UK and Europe gather to take part in the festival. First launched in March 2013 at The O2, London, C2C was a two day event. The festival featured Carrie Underwood and Tim McGraw as headliners that year.. This was Tim McGraw’s first UK appearance. C2C followed on the next year by launching in Dublin. The Dublin concert took place on the same weekend as the London event, with artists switching venues each day. However, In 2016, C2C expanded to three days and added C2C Glasgow at the Clyde Auditorium. In London, new stages outside of the arena included the Bluebird Café, BBC Radio 2 Country Stage and the Late-Night Sounds Like Nashville Stage. In 2018, C2C hosted over 50,000 fans. Similarly to previous years, the festival included stunning artists such as Kelsea Ballerini, Sugarland, Emmylou Harris, Margo Price, Old Dominion. Additionally, there was programming from the Festival Stages, BBC Radio 2 Stage, Late Night Stage, CMA Screenings, The Bluebird Cafe and the newly introduced C2C Close Up. 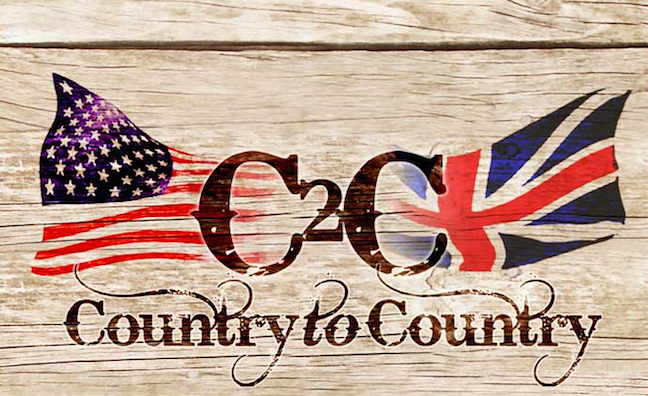 Now in its seventh year, C2C is continuing with stages in London, Dublin and Glasgow. Therefore, all the festivals take place across the same dates, 8-10th March, and the line-up is equally impressive. Artists will be again switching between the locations during the course of the weekend. Furthermore, the festival now has partner concerts being held in Amsterdam, Berlin and Australia as well. The growth in popularity of country music worldwide is continually exponential and for good reason. With headliners Chris Stapleton, Keith Urban and Lady Antebellum joining alongside layers of talented artists showcasing across several stages, it will be a stand out year for the festival. There is an authenticity to the country genre of music which seems to resonate with audiences now. It speaks to something real and honest, natural singer-songwriters who are telling valid and emotive tales and fans respond passionately to that. The festival seems to have come along and just the precise right moment to fill the need in fans to see their favourite artists live on UK shores. As a result, the Country 2 Country festival is definitely one festival not to be missed! For more music news, check out GSGM here!